Professional Pilots Inc. would like to formally introduce our new generation propeller conversion for all PA-32 aircraft. STC approval has now been received for the installation of Hartzell’s new “Scimitar” propeller design on any 300 HP, non-turbocharged, Cherokee Six, Lance, Saratoga, or Piper 6X. The new blended airfoil design of the scimitar propeller provides the best performance available in all flight spectrums, and is quickly making all straight blade propellers obsolete. In addition to the increased performance from these propellers, the swept tip design significantly reduces the cabin, and fly-over noise levels, making cruise flight more comfortable. The propeller is designed as a direct replacement for the standard two or three bladed propeller, which makes the installation extremly simple. 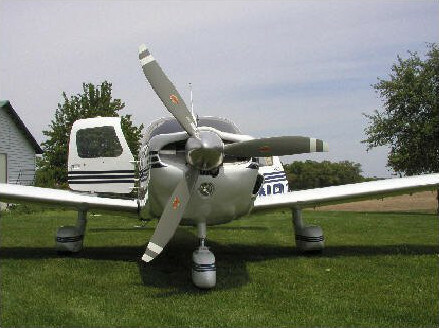 In addition, we have priced this propeller at $10,900.00, which is approximately equal to that of a standard replacement part. This one low price includes the propeller, spinner, and STC paperwork. All propellers will be shipped new from Hartzell, and will enjoy their full factory warranty. Please give us a call to see what we can do for YOU!